In Boston, it’s easier to get ahead than in almost any other city in the country, but the degree to which a person thrives varies widely, depending on the color of their skin. Overall, the Boston area has one of the highest rates of economic mobility in the country, according to a report by the Boston Foundation, meaning that children who grew up in low-income families have a better chance of out-earning their parents than in all but a few of the nation’s 100 largest cities. But broken down by race, the picture is much more fractured. Latino men who grew up in low-income households here rank 24th in economic mobility when compared to Latino men elsewhere. And while black men from similar households in Boston have a higher mobility rate than blacks in any other city, on average they make just $23,730 annually — not exactly a leap into prosperity. And their mobility rate lags behind that of white men in almost every other major city. The report, out Wednesday, examines the prosperity of Greater Boston’s residents from many angles, including mobility, home ownership, income inequality, and the size of the middle class. It found a booming economy where prosperity is not being shared equally across neighborhoods, gender, and race. The city’s advantages — low incarceration rates, universal health care, high minimum wage — are sometimes outweighed by its disadvantages, namely high housing costs, segregated neighborhoods, and a transit system in need of upgrading. The study analyzed data from various sources, including Opportunity Insights (formerly called the Equality of Opportunity Project), directed by the renowned income inequality expert Raj Chetty, currently at Harvard, which just published reams of data on social mobility broken down by census tracts. Some of the findings show improvement. 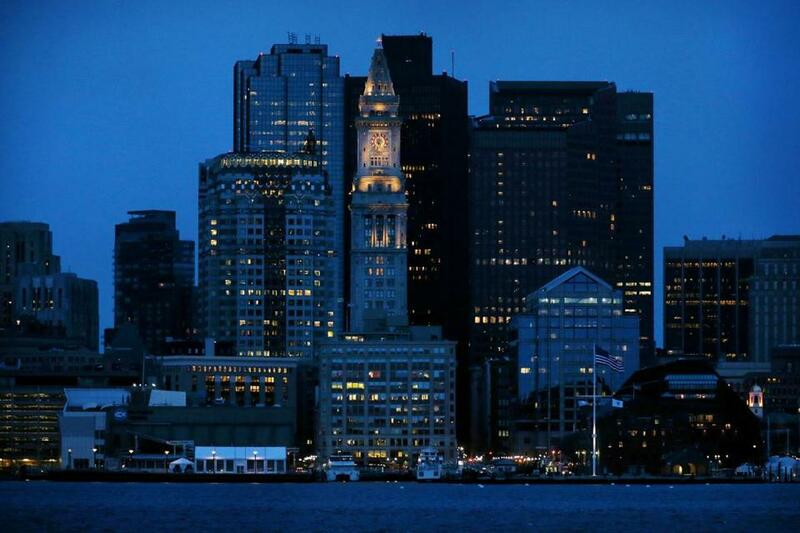 Boston no longer has the highest rate of income inequality of any city in the nation, for instance. As of 2016, Boston is seventh-highest, with low-income households seeing slightly greater gains than the highest-income homes from 2014 to 2016. This is probably due in part to increases in the state’s minimum wage, according to the report, which has risen to $11 an hour from $8 in the past few years and is set to increase to $15 by 2023. But some of the seemingly positive findings are less rosy than they appear. Boston’s rate of economic mobility is second only to San Francisco’s and is tied with the rate in Minneapolis, but it’s harder to get ahead than it used to be. People born in Massachusetts in 1940 had a 91 percent chance of earning more than their parents by the time they were 30. Those born in 1980, however, had a 55 percent chance of doing so. The middle class is also shrinking, with 15,000 fewer middle-income households in Greater Boston in 2014 than in 1990. Meanwhile, the number of low-income households increased by 30,000 as the number of high-income households rose by 43,000. Housing costs play a huge role in driving people out. Rent is considered affordable when it is less than 30 percent of a person’s income, but the median rent of $2,613 gobbles up more than half of the $61,267 median household income, according to the report. In all of Boston, only 20 of 170 residential census tracts have median rents that are considered affordable for households making the median income; in Dorchester, Roxbury, and Mattapan, where many people of color live, none of the census tracts are affordable for median-income households. Very few lower-income people of color own homes in Greater Boston — just 12 percent of black and 7 percent of Latino households making less than $39,000 a year. Yet more than a third of white families in this income bracket own homes. Money passed down from generation to generation is often what allows low-income white households to buy homes when their black and Latino counterparts can’t, said Jesus Gerena, chief executive of the Oakland, Calif.-based Family Independence Initiative and former director of the anti-poverty agency’s Boston office. Many factors contribute to this disparity, he said, from black veterans not having equal access to the GI Bill when they returned from World War II, meaning fewer of them could afford to go to college, to discriminatory lending practices by financial institutions that denied home loans to people of color, meaning fewer of them could afford to buy homes. Because white households have historically been able to build more wealth, they are more likely to have money to help out lower-income relatives who otherwise would not have been able to afford a house. Even when lower-income households are able to lift themselves out of poverty, a small setback like an illness or a rent increase is enough to push them back down, Gerena noted. About a quarter of the households his agency works with have a business on the side, often an informal arrangement preparing food or baby-sitting. But the licensing process and the money required to turn these operations into legitimate operations are often out of reach. Most policies to help people acquire wealth are geared to those who already have assets to build on, he added, such as tax breaks for homeowners and retirement accounts. For people starting out with nothing, there is little help.